Most of the everyday objects in our lives are getting smarter with microchip implants and internet access, and the carry-on suitcase is the latest item in line for a high-tech upgrade. The Space Case 1, currently raising funds on Kickstarter, promises to be "the world's most advanced smart suitcase". So what does it have in its locker? 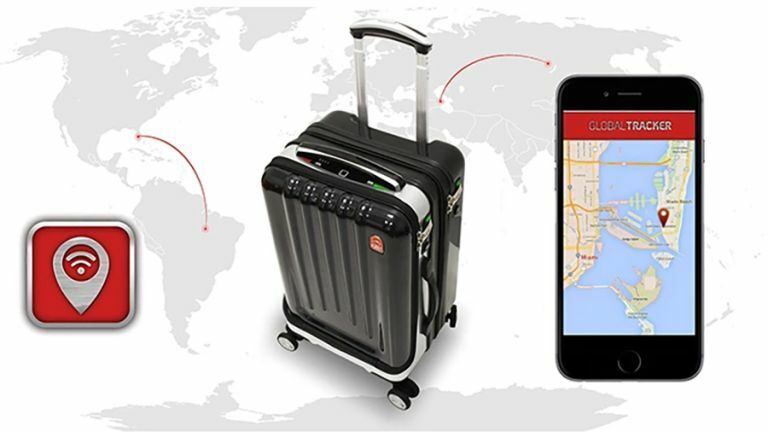 There's a fingerprint sensor, so no one can open your case without your finger, and GPS tracking that lets you see exactly where in the world your lost luggage has got to. The Space Case 1 can weigh itself too, with no help from you, if you want to check you're within the specified limits. The integrated Bluetooth speakerphone lets you use it as a giant phone (?!) and there's a built-in powerbank for charging phones and tablets while you're waiting in the queue at the airport. All of this functionality can be controlled by an app for Android and iOS - it can even ping you when it's within range of your phone so you don't miss it whizzing by on the carousel. With all the features on offer It's little surprise that the suitcase has already blasted through its Kickstarter goal. Kickstarter prices start at $199 (about a third of the expected RRP) and the inventors are hoping to have it shipped out to backers in November this year.